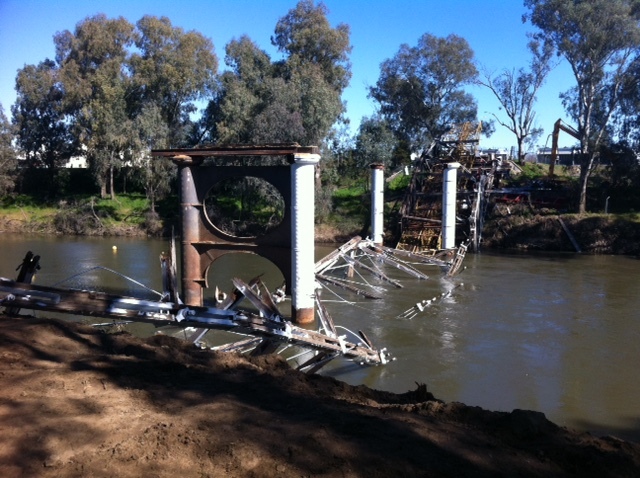 A monumental project this year – literally – was the demolition of Hampden Bridge by Wagga Wagga City Council. We worked with Darren Daly from Lightbox Productions to capture the big day, and make sure the collapse of the iconic bridge was captured for posterity and community viewing. Multiple cameras, different locations, exact timing requirements and working around explosives – what could go wrong? Luckily nothing, and our footage will be held as testament to a large event in the community’s history for years to come. On Wednesday 20th of August Mayfly Media worked with Lightbox Imageworks to capture this demolition. It was captured in photographic images as well as in real time, time-lapse and slow motion video.